The Board of Liquidation, City Debt was created by the Louisiana Legislature in 1880, and made a “body corporate,” separate and distinct from the City of New Orleans, in 1890. 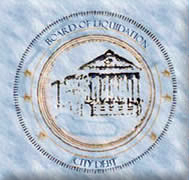 The Board of Liquidation “the Board” has exclusive control and direction of all matters related to the issuance and repayment of the City’s general obligation bonds. Because the Board exists, the repayment of New Orleans general obligation bonds is separated and excluded from the City’s operating budget, and a dedicated source and security for the payment of the City’s general obligation bonds is maintained. All ad valorem taxes levied by the City for the payment of its general obligation bonds are transferred to the Board. These property tax receipts must be applied exclusively to the payment of debt service on the City’s outstanding general obligation bonds and cannot be applied to pay the City’s operating expenses for any other purpose. The Board has never defaulted on the payment of the City’s general obligation bonds. In the event of any default in the imposition and collection of any taxes required for the repayment of general obligation bonds, the Board has the statutory power to levy and collect taxes in the amount required. The Board is required to certify the rate and necessity therefore and cause the same to be imposed and collected at the same time and in the same manner as other taxes are imposed and collected in the City. The Board also acts as custodian to several agencies including the Sewerage & Water Board of New Orleans; the New Orleans Downtown Development District; the Audubon Institute; the Garden District Security District; the Huntington Park Subdivision Improvement District; the Kingswood Subdivision Improvement District; the Lake Barrington Subdivision Improvement District; the Lake Bullard Neighborhood Improvement District; the Lake Carmel Improvement District; the Lake Forest Estates Improvement District; the Lake Oaks Subdivision Improvement District; the McKendall Neighborhood Improvement District; the Spring Lake Improvement District; the Touro Bouligny Security District; the Twinbrook Secuity District and the Upper Hurstville Security District. All ad valorem special tax collections, fees and bond proceeds of these custodial accounts are by statute held by the Board and drawn down by warrant.